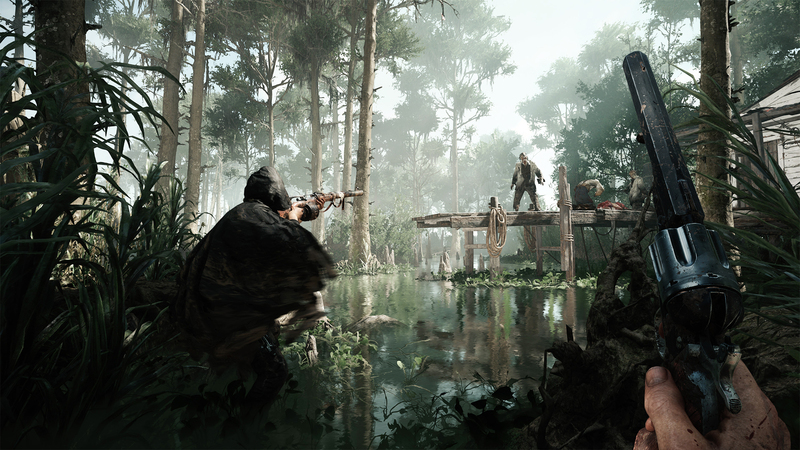 Our upcoming bounty hunter game Hunt: Showdown has launched into Closed Alpha, readying up for its Early Access release on Steam. Naturally, the CRYENGINE team is working closely with the Studio team, and the improvements going into the Hunt: Showdown branch of CRYENGINE will be coming to users around the world in future releases of the engine. You can find out more in a developer diary, in which CRYENGINE Senior Software Engineer Luis Montero and UX Designer Falk Sonnabend showcase just a few of the improvements you’ll be seeing soon. We caught up with them to talk about the process. (Left) Falk: UX Designer for CRYENGINE, Frankfurt. 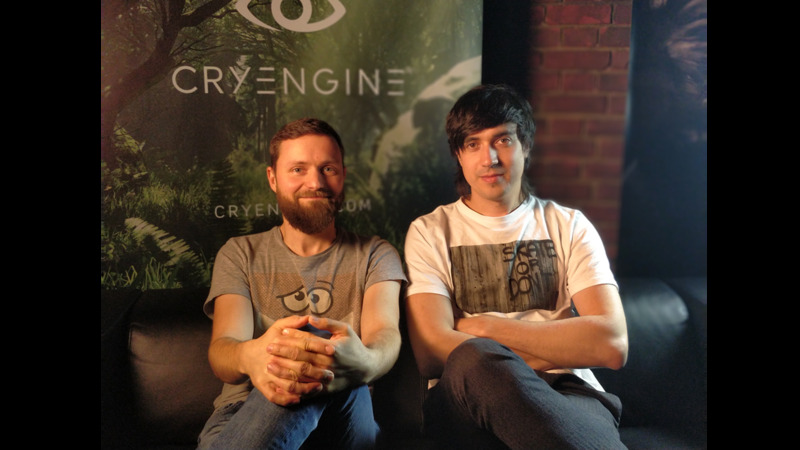 (Right) Luis: Senior Software Engineer for CRYENGINE, Frankfurt. Hey guys! Can you tell us about some of the progress you’ve been making whilst working with the Hunt team? Luis: For me, the improvements aren’t down to one or two specific features, it’s more that we’ve looked at the general workflow with the editor and large data sets. That means we’ve been able to identify some core changes that needed to be made to allow the editor to perform at a level where our designers can more quickly iterate on their work. Falk: We improved a lot of small things in the past few months in the UX, and they build up to make a real difference. Sometimes it was a drop-down menu that didn't work the way users expected, or a button state that wasn't perfectly clear at times, or we’ve tweaked the order or of certain buttons. Making basic things more consistent and following certain standards is important. But I do want to highlight two minor improvements that I personally like a lot. A long overdue feature we added is the option to customize how you want to see object helper icons in the 3D viewport. Navigating around your level and manipulating objects is a major part of a designer’s job. And now there will be multiple ways to make them fit your personal needs, whether you want to see them across the whole level or just in your vicinity. You will have a wide range of options. We also worked on the Level Explorer. Although there's still a lot more we plan to add for CRYENGINE 5.5, we’ve already overhauled its visuals and improved management of objects. For instance, there's now an indicator for your active layer inside a folder. We also introduced an isolation mode, so you can quickly hide and/or lock everything but a specific folder, layer or object and focus on your work. 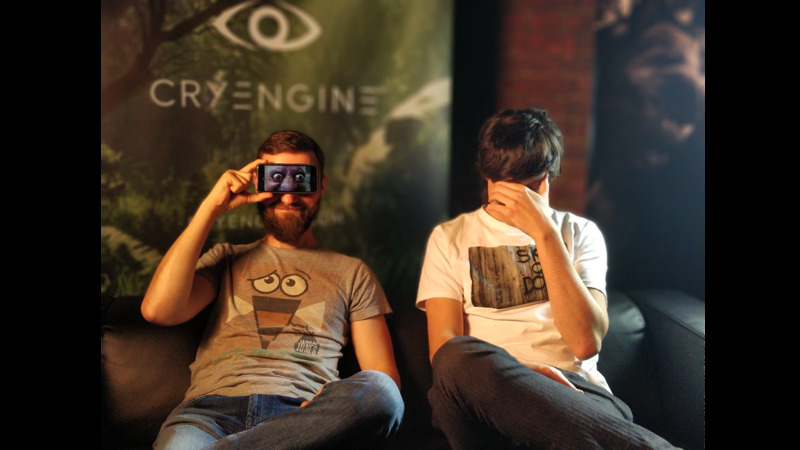 How does working so closely with a AAA development team help CRYENGINE? Luis: There are many benefits, from being able to bounce ideas off the Hunt team, to having them quickly test and give feedback on a prototype. It all adds up to us having better performing tools, regarding both usability and better performing code, which is great for the entire CRYENGINE community. Falk: We get immediate feedback on things we change, from an experienced team. Communication channels are short, and consequently quick. Getting feature request or improvements directly from people working on a AAA production is a huge plus for us. And what’s great about that is that these enhancements, tweaks, changes, and additions will benefit everyone using CRYENGINE, from big licensees to indie and solo developers. What are you most looking forward to in Hunt? Falk: The aspect I'm most excited about is the world itself. Just being on a map with your partner, slowly discovering what's going on around you, checking out the scenes and points of interest in the environment and the stories they tell. You’re trying to make as little noise as possible while still talking to each other to strategically plan your next steps, and you’re always on the look-out for possible threats. I have enjoyed quite a few tense and thrilling matches! You can see some of the improvements which have resulted from our CRYENGINE team working closely with the Hunt team in a developer diary below. And of course, you can find out more about Hunt: Showdown on Steam, or by following the game on Facebook and Twitter. As ever, we’d love to hear your thoughts, so get in touch on the forums, Facebook, and Twitter. The Hunt: Showdown Closed Alpha is starting today! Get involved and join the official Discord channel and check out the official website to sign up. I´m very much looking forward to Cryengine 5.5! Also I hope seeing more HUNT stuff on the forums. An advanced lighting tutorial would be greatly welcomed!